Harold Weston, Winds, Upper Ausable Lake, 1922. Oil on canvas, 16 1/8 x 22 3/16 in. Gift of Mrs. Harold Weston, 1981. The Phillips Collection, Washington DC. This work by Harold Weston, part of the Made in the USA exhibition, captures the power of the wind in the pulsing ripples on the surface of the lake, bright morning sunlight glinting off each peak. 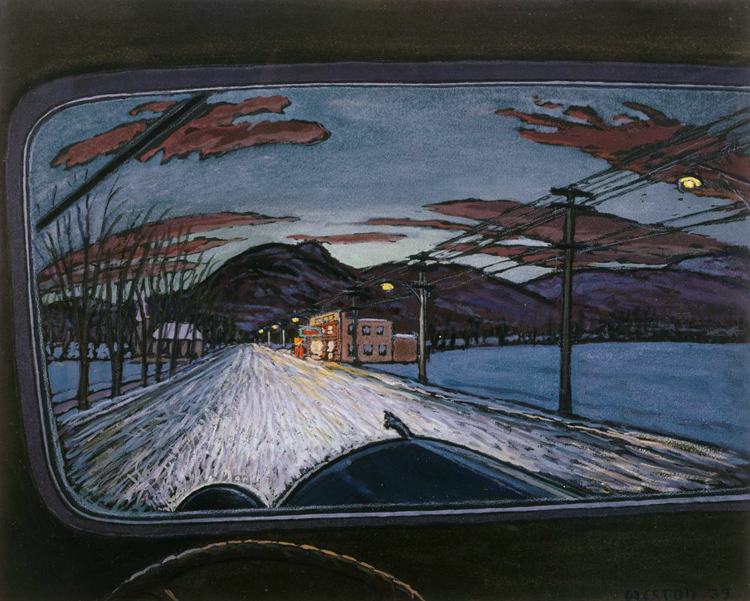 Harold Weston, Going Home, 1939. Gouache on blue-black paper, 15 5/8 x 19 5/8 in. Acquisition date unknown. The Phillips Collection, Washington DC.